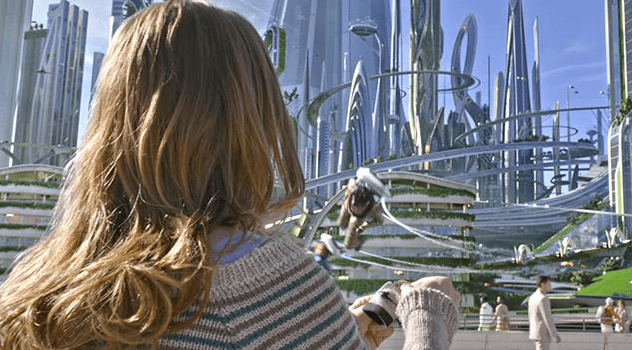 Last week, my family joined many movie goers to check out the latest from Disney Pictures – TOMORROWLAND. I checked a few movie review sites and noticed most were mixed. Being a fan of Disney and George Clooney, I figured it had to be good. I also liked that the movie is rated PG and not PG-13, which is a bit more appropriate for my daughter. My kids, ages 9 and 12 loved it! My husband and I thought the movie was a bit slow to get started, but we loved the concept and the special effects. My husband is an NYU film grad so he can be a bit of a movie snob. For him to compliment cinematography and special effects is a big deal. One of my favorite scenes. This is not your ordinary bathtub. 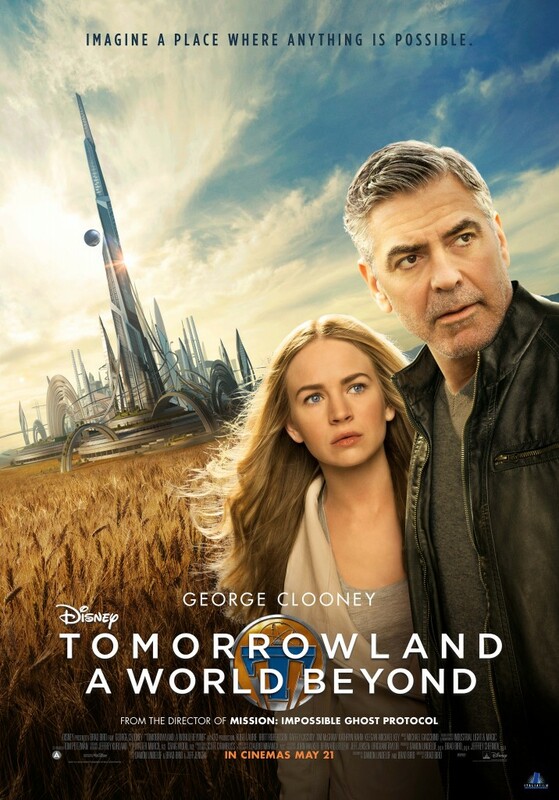 If you are not aware of the basic plot: A former boy genius named Frank (George Clooney) and a super smart teen named Casey (Britt Robertson) set out on a mission to unearth a futuristic world called TOMORROWLAND with the help of a young girl named Athena (who has a little secret so I won’t spoil it here) (Raffey Cassidy). The overall theme is that we need to make some changes in our current world in order for our world to have a future. When it comes to animation, director Brad Bird is an expert. He adds creative imagery that makes us think about what the future could look like. 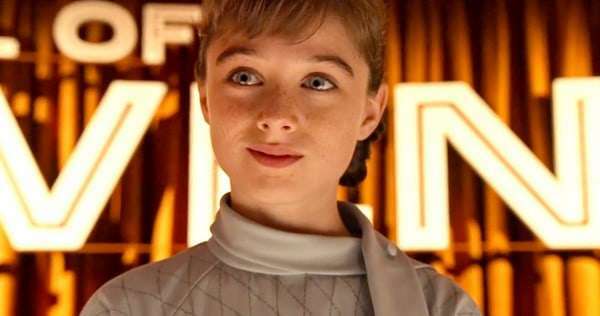 Personally, I think Raffey Cassidy steals every scene she is in. She is simply mesmerizing. 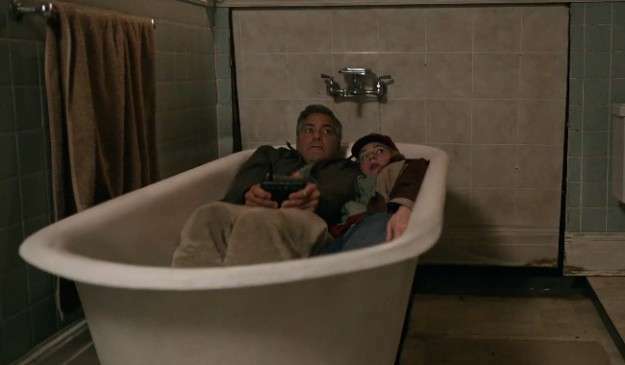 Clooney and Robertson put on good performances as well, but Raffey is the break out star of this movie in my opinion. At times, the movie is a bit preachy about making changes in our current society to minimize war, pollution, etc. I think too many critics have been overly harsh on this aspect of the film. Heck, this movie is meant for kids, so providing a message of hope is fine with me. My family gives it a thumbs up. I recommend you see a matinee, but it’s well worth a look on the big screen to marvel the animation and special effects. The more I hear about this movie the more I want to see it. Going to have to check to see when it is playing near me and where! We loved this movie too! I like the idea of dreamers to help the “new” world. I agree Raffey stole the show on this movie! I thought this movie was fun and full of action and great for kids. My teen didn’t like it, but my tween sure did. I loved it! Thanks for the review. I was thinking about going to see it and I think the visual aspect of it would make it worth seeing it in the theatre versus holding out for blu-ray!